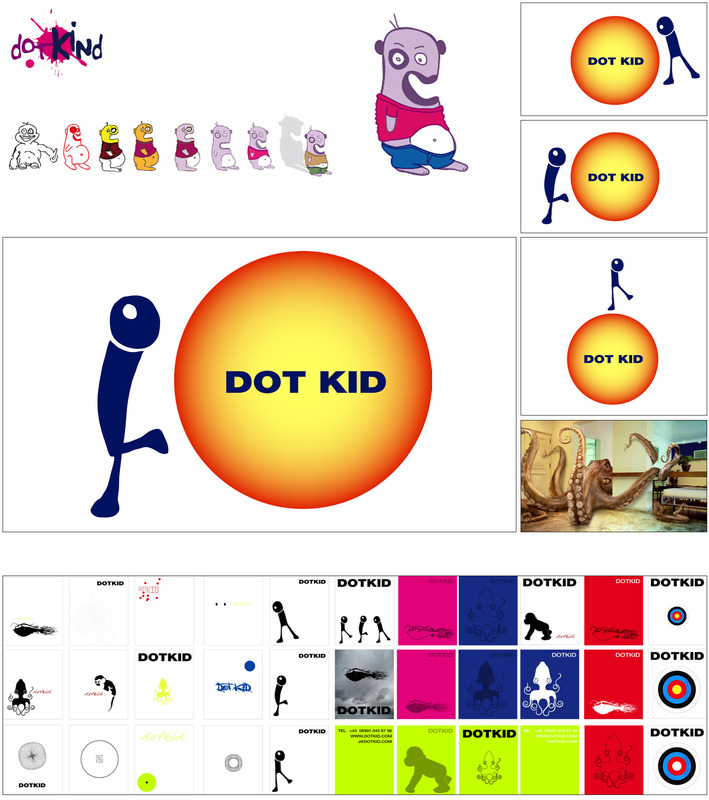 Dotkind is a label for a scandinavian kids clothes label. They needed an identity so we proposed a logo in versions (a creature standing besides a big ball) always applied in the form of stickers, also the office papers and business cards. Below shown are the different versions of the logo and it’s evolving. Inspired by animals and Tetris. At the end the chosen the little monster on the top. The project was done in cooperation with Mischgo, who is specialized in illustration.